Visit the 7 Kids Your Crafting Supply Store Challenge blog to link up your challenge project and find out the winners from the previous challenge. 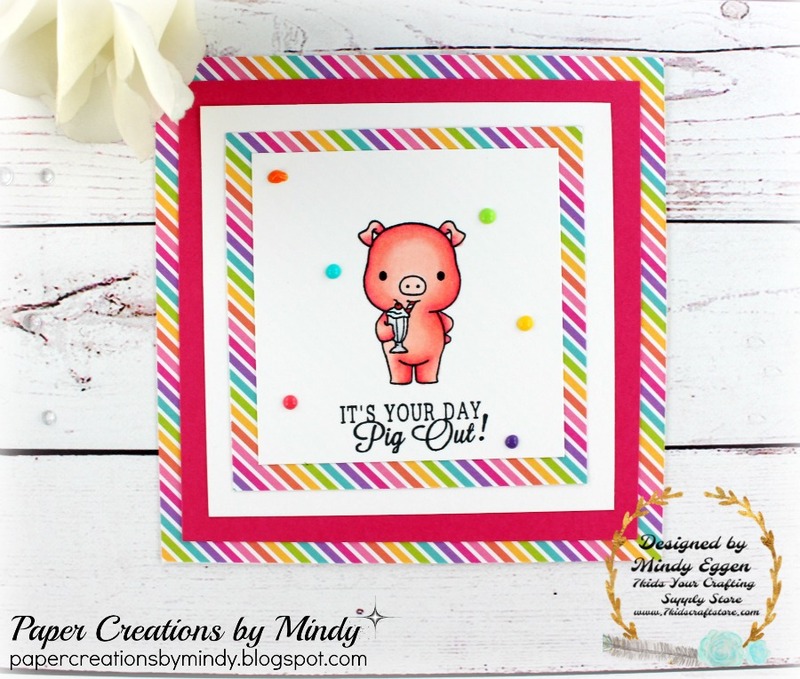 My project for today is using this sweet little pig from LDRS Sweet Treat set. I don’t use this enough and I should – they are adorable! I decided to keep it simple and just layered my cardstock and patterned paper. For a finishing touch I added some rainbow colored Nuvo Drops.